One man is looking to give housewives allover the world a run for their money - by becoming the perfect house husband. Efren Styles, from San Marino, California, stays at home and leads the life of the ultimate trophy 1950s housewife while his doctor husband Christopher goes to work to earn a living. 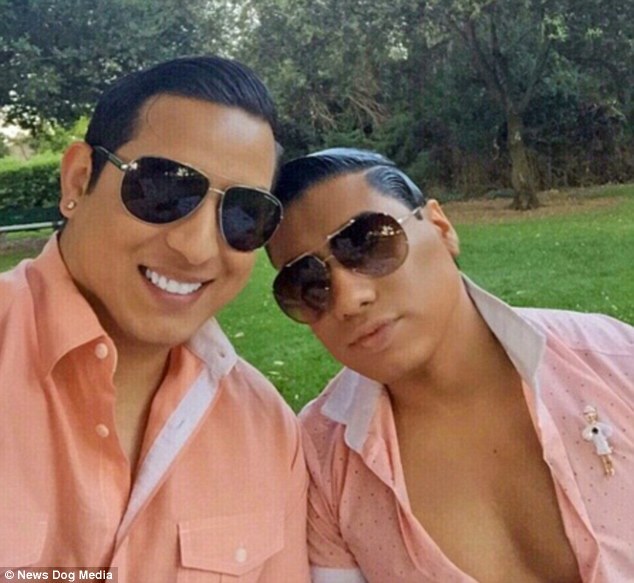 Efren spends his days doing household chores, splurging on designer items and donning 24-carat gold face masks to make sure he looks beautiful when his husband comes home.And Efren - who also spends his time posting photos to his 80,000 Instagram followers - believes that it's time to bring back the role of being the perfect housewife - or indeed the house husband. Since he was a child, Efren has always fantasised of being the flawless house husband. And his wishes came true when he met his husband, Christopher in July 2007 and married him soon after. 'I've always dreamed of being the perfect house husband. I was inspired by my mom who is actually a stay-at-home housewife. Well, I always like to wake up before or when my husband wakes up to make sure his suit and breakfast is ready before he leaves for work. 'Shortly after Christopher leaves for work, I workout for an hour, shower, then begin the extended process of getting beautified. 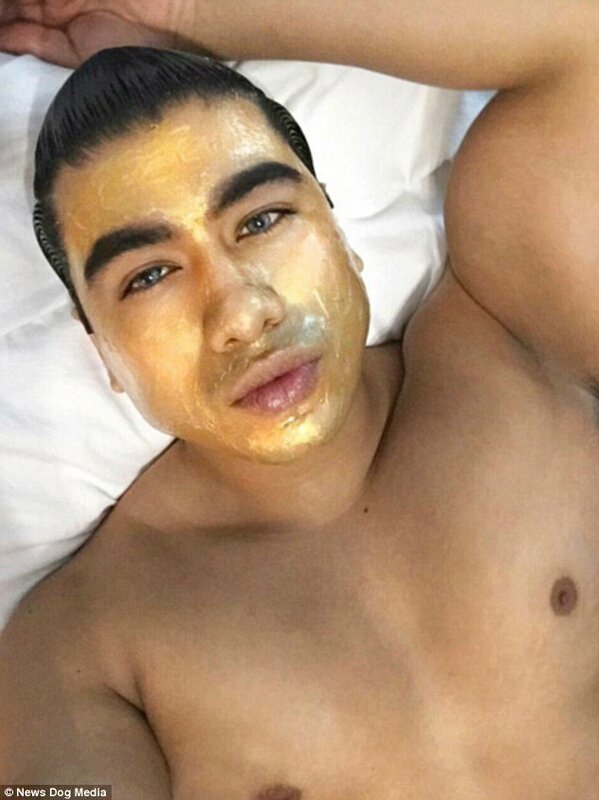 I love using Peter Thomas Roth 24 carat gold masks, and yes it's made of actual gold. 'Then I get ready by doing my hair, makeup, and I put on my tight low cut shirts. I start doing my chores around the house, then do any errands that need to be done for the day. 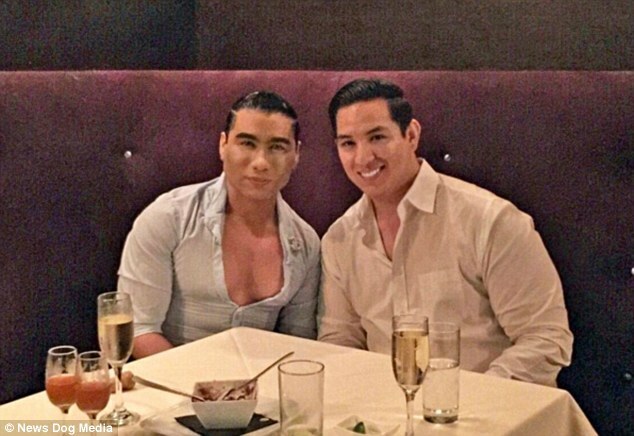 Christopher is also glad to fiance house husband's Efren's expensive fashion taste. Efren explains: 'I love shopping. I'm in love with everything luxurious and most of all, fur. Fur is my addiction! My husband calls me the boy version of Cruella de Vil.